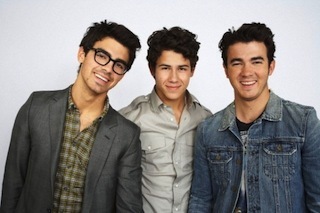 Kevin Jonas has opened up in a new interview why the Jonas Brothers are no longer a band. "We were really lucky. Being a band that was able to tour, travel the world, and make music that we love, and then be received well I think was great," Kevin said when speaking to HuffPost Live earlier this week. "At the end the friction was too much. We just really needed to break away and kind of do our own things for some time." After assuring everyone they were still close as brothers, he concluded, "By not being in the band together…We chose to be a family, not a band."